The Ceremony Only package is for those couples who only want their ceremony covered, but little else. 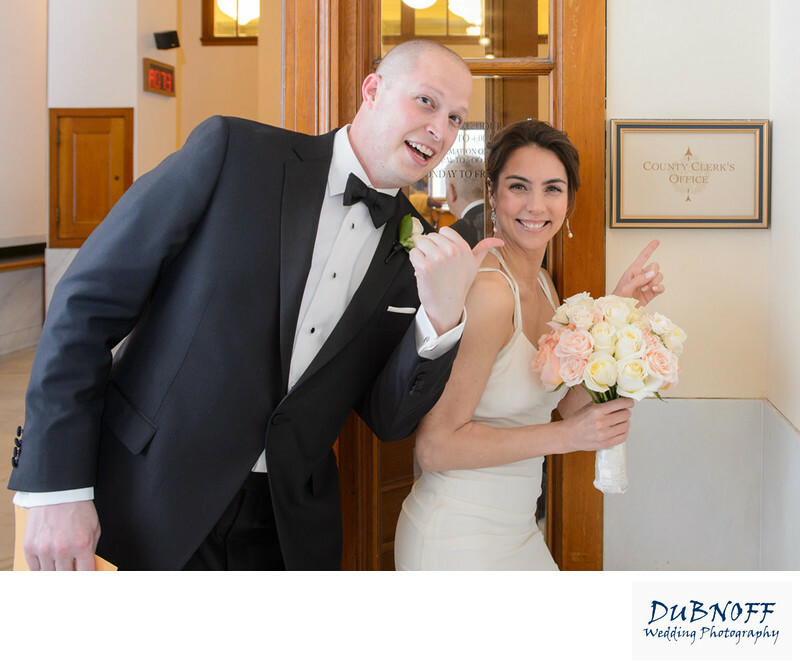 We do not provide a time limit for this particular package because it is not always possible to accurately estimate how long San Francisco City Hall will take on a given day to perform your wedding ceremony. We will promise you that we will stay until it is complete to make sure that every detail of the ceremony is captured. In addition, we take the couple to one location in City Hall and take a few nice posed shots. Our coverage begins with your ceremony check-in at the Country Clerk's office and includes your meeting with the officiant (Deputy Marriage Commissioner) and also the signing of the marriage license by your witnesses. As with all SF City Hall packages, we provide you with every image taken at your wedding and you receive full reproduction rights. These rights give you the opportunity to make your own prints of your favorite photos or share them with friends on Social Media or personal websites. You don't have need to give us a photo credit, but we would appreciate it if you did! In addition, you receive a password protected photo viewing website. You can use this site to view the photos or to share them with anyone. All clients have the option of receiving their full resolution jpeg files by either Dropbox or a shipped USB drive. We have to charge Sales Tax on USB Drives shipped to California Residents. Or more conveniently, just directly download your full resolution images from your private viewing website.